Kennedy Wilson has sold the Ritz-Carlton, Lake Tahoe hotel to Braemar Hotels & Resorts for $120 mil. In December, Kennedy Wilson also sold a portfolio of hotels located across the U.K. for $54 mil. Kennedy Wilson and its partner acquired the Ritz-Carlton, Lake Tahoe’s 170 hotel rooms, 23 condominiums and 3.4-acre development parcel in 2012 for $74 mil and have since solidified the resort as one of the most upscale destinations in Northern California. The company also completed the sellout of all 23 condominium units at The Ritz-Carlton Residences in 2016 for a total gross sales price of approximately $50 mil. 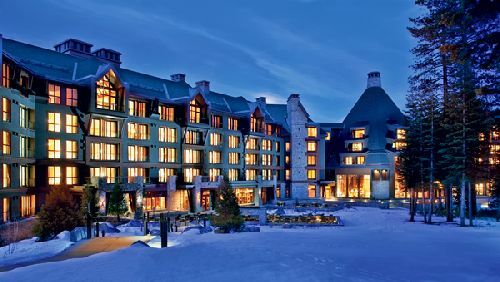 Since 2012, Kennedy Wilson grew the ADR by 63% and revenue per available room by 100% at the Ritz-Carlton, Lake Tahoe through a series of capital and operational improvements including expanded culinary and wellness offerings, enhanced outdoor attractions, children’s activities and summer programming. In 2017, the company debuted Lake Club, a new multi-level dining and bar facility that helped transform the hotel from a primarily winter resort into a year-round destination. The Lake Club provides guests direct access to the lake with an expansive lawn that extends to the water’s edge and a private boat pier offering summer recreational activities. In December, the company sold the remainder of a loan portfolio backed by six hotels totaling 864 rooms located in the United Kingdom. Kennedy Wilson initially acquired the loans secured by eight hotels in 2015. With the help of a receivership structure, tenant surrender and asset management strategies and a structured sales process, the company realized a 45% return on cost over the life of the investment.